Many younger people will just remember Boris Karloff as the voice on the animated special "The Grinch That Stole Christmas", but he was a truly brillant actor. Like Vincent Price, his main bread and butter were horror films, but in real life he was a thoughtful and gentle man. Karloff brought the Monster in FRANKENSTEIN to life in 1931. He acted in more than 100 films, specializing in horror pictures such as THE MUMMY (1932), THE MASK OF FU MANCHU (1932), BRIDE OF FRANKENSTEIN (1935), and SON OF FRANKENSTEIN (1939), and his name became synonymous with the horror genre. He returned to the stage for highly acclaimed performances on Broadway in Arsenic and Old Lace (1941) and as Captain Hook in Peter Pan (1950). Although he played many sinister characters on screen, Karloff was known in real life as a very kind gentleman who gave generously, especially to children's charities. Beginning in 1940, Karloff dressed up as Father Christmas every Christmas to hand out presents to physically disabled children in a Baltimore hospital. 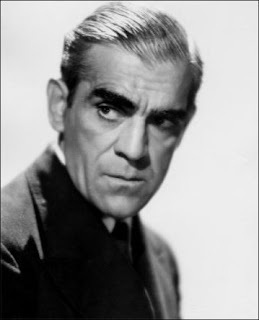 Karloff was a charter member of the Screen Actors Guild, and was especially outspoken regarding working conditions on sets that actors were expected to deal with in the mid-1930s, some of which were extremely hazardous. In 1931, Boris Karloff took out insurance against premature aging that might be caused by his fright make-up. Boris Karloff lived out his final years in England at his cottage, 'Roundabout,' in the Hampshire village of Bramshott. After a long battle with arthritis and emphysema, he contracted pneumonia, succumbing to it in King Edward VII Hospital, Midhurst, Sussex on 2 February 1969. He was cremated, following a requested low-key service, at Guildford Crematorium, Godalming, Surrey, where he is commemorated by a plaque in the Garden of Remembrance. A memorial service was held at St Paul's, Covent Garden (the Actors' Church), London, where there is also a plaque. However, even death could not put an immediate halt to Karloff's media career. Four Mexican films for which Karloff shot his scenes in Los Angeles were released over a two-year period after he had died. They were dismissed, by critics and fans alike, as undistinguished efforts. Also, during the run of Thriller, Karloff lent his name and likeness to a comic book for Gold Key Comics based upon the series. After Thriller was cancelled, the comic was retitled Boris Karloff's Tales of Mystery. An illustrated likeness of Karloff continued to introduce each issue of this publication for nearly a decade after the real Karloff died; the comic lasted until the early 1980s.